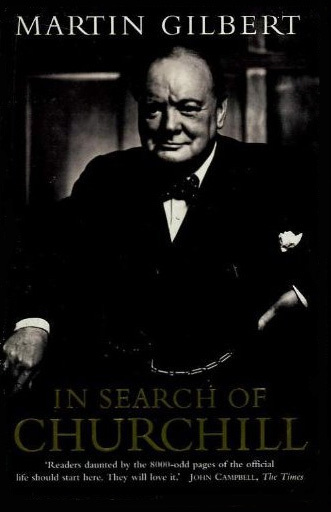 In Search of Churchill is the story of Gilbert’s thirty-year quest for his subject. He reveals the staggering extent of his historical labour and shares with the reader some of the great moments in his pursuit. ‘I remember the extraordinary sense of elation when, one morning in 1987, I reached the final file in the bottom drawer of the last filing cabinet.’ With characteristic modesty he does not say how many filing cabinets were necessary to contain the fifteen tons of paper which he had sorted through to reach that final file. The book offers many insights into how one of our leading historians and biographers goes about his task. In working for Randolph Churchill: "I learned at Stour that history was concerned with character and humanity, as well as with facts and achievements."